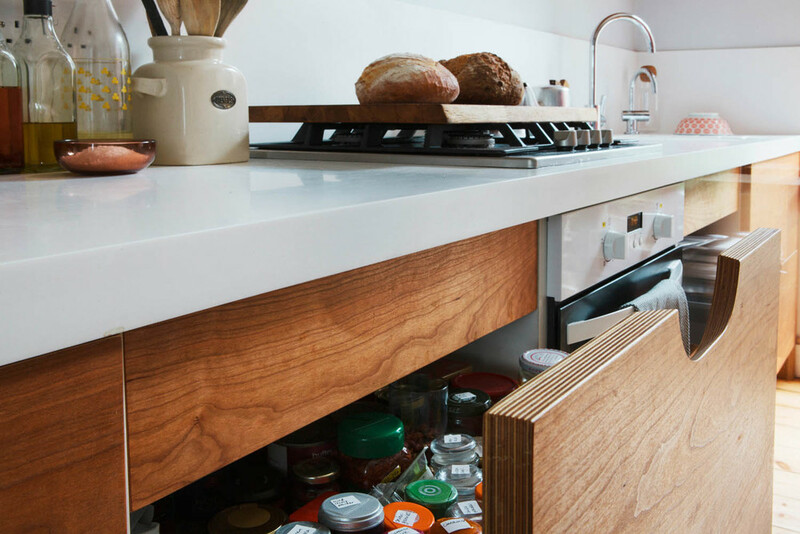 The routed handles in this Crystal Palace kitchen design reveal the beautiful laminations of the birch ply behind. 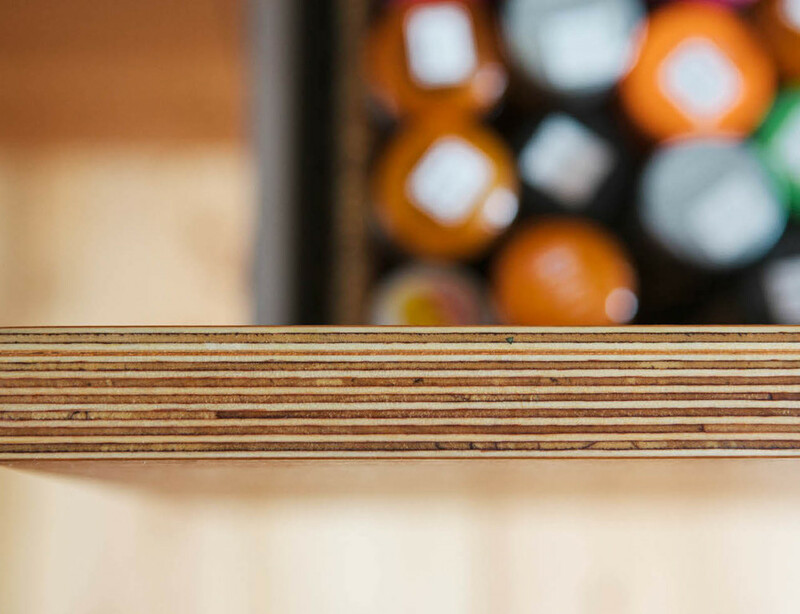 The drawers are cut from the same piece of veneered plywood, so the grain runs seamlessly across each union. A pull out drawer fridge under the worktop allowed the client to keep the full width of this run, kept light and open by the single wall unit (housing the extractor) and floating cherry shelves. The sink is thermoformed into the Corian worktop.